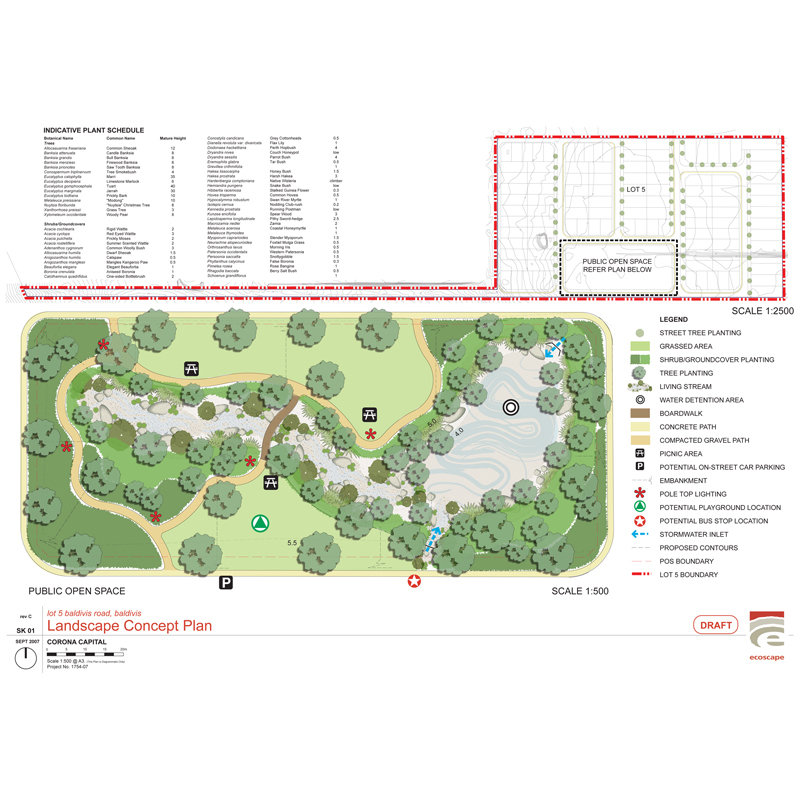 Ecoscape was engaged by Corona Capital Management to undertake EIA and Urban Design services for these three developments within the City of Armadale and the Shire of Serpentine-Jarrahdale. 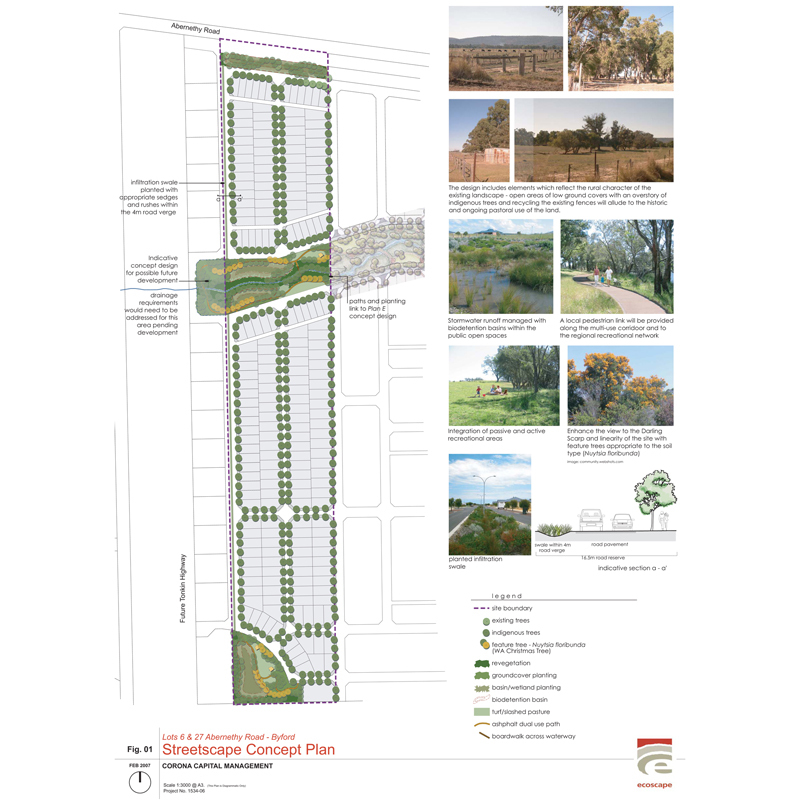 Ecoscape was engaged by Corona Capital Management to undertake EIA and Urban Design services for these three developments within the City of Armadale and the Shire of Serpentine-Jarrahdale. 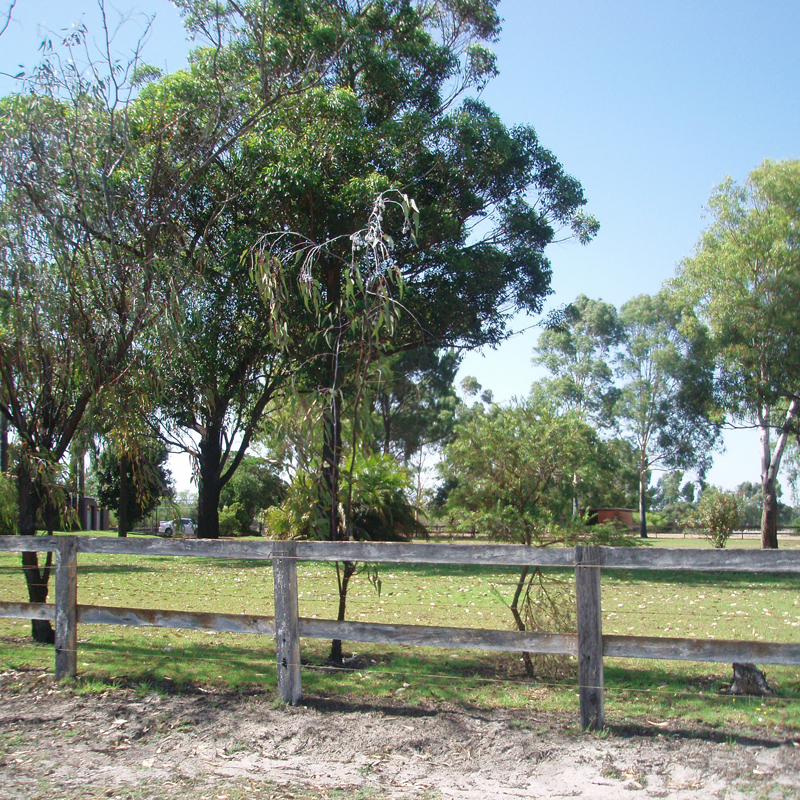 Each site was investigated for existing environmental values and assessed for impacts from urban development necessary for the State and Council approval process. 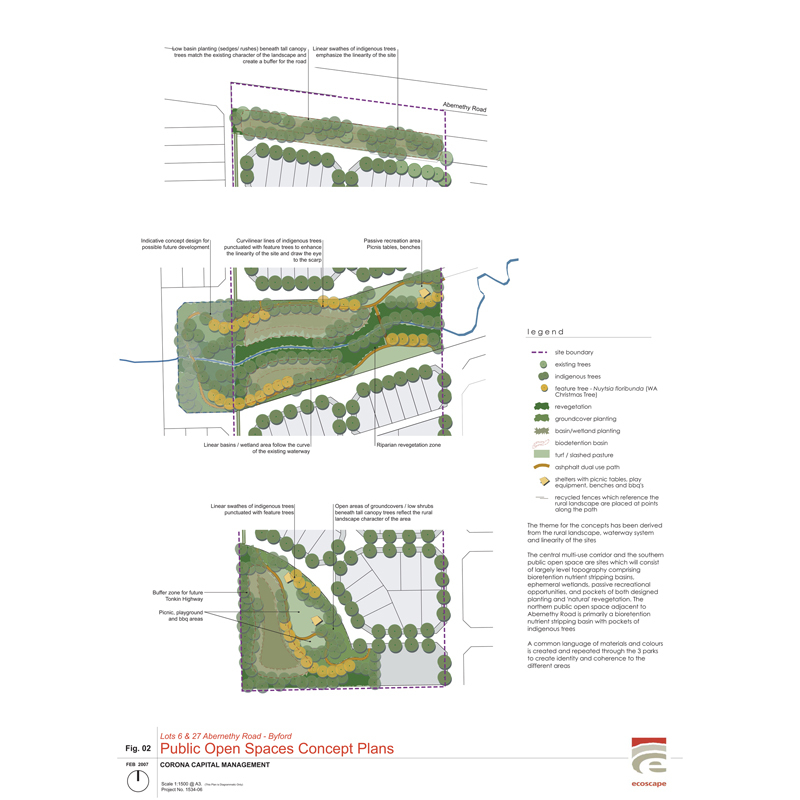 Environmental planning techniques were employed to design surface water runoff treatments aligned with Water Sensitive Urban Design principals to provide a plan that retained the more sensitive environmental values of the site, while achieving the goals of Corona. The planning approvals for the development of these sites were achieved.